Can I continue doing Crossfit while working on GMB programs? It is possible to continue your Crossfit training alongside one of our programs. Though first, we encourage you to decide which one will be your primary focus (either your Crossfit training or one of our GMB programs).  GMB programs are designed to be worked on individually, and so, some of the programs can be fairly physically demanding. The main thing to keep in mind is to avoid overtraining or burnout. You'll want to make sure you still have a fair number of rest/recovery days in between your active training sessions. Below, are some suggestions on how to combine the training, but either way, you'll want to scale back on the amount/volume of your overall training, especially if you find yourself getting tired or burnt out. Two weeks is a good length of time to evaluate your training routine. If you want to use GMB programs to complement your Crossfit training, we recommend doing your skill work (from the GMB program) after your Crossfit training for the day (but before your cooldown). Programs like Elements or Vitamin can be used as a warm-up for your Crossfit training. You can also use a few of the stretches from Focused Flexibility as a cool down after your WOD. Keeping all of your training on the same day is a good idea because it'll allow you to have true rest days with no active training. If you want to prioritize your training through one of our programs, we recommend doing your skill work (from the GMB program) before your Crossfit training for the day. Programs like Elements or Vitamin can be used as a warm-up for your Crossfit training. Again, keeping all of your training on the same day is a good idea because it'll allow you to have true rest days with no active training.